We're not just another show - we're a lifestyle. From the moment you walk through the entrance to the Lake Home & Cabin Show you'll know you're about to experience something special. 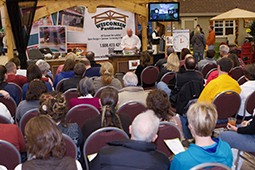 We'll have free features, demonstrations, giveaways, contests and seminars - all designed to engage and involve you in the experience of life at a lake home or cabin. A complete special events listings will be posted prior to the event.